On Friday March 2, Dr. Seuss’s Birthday, Ring of Honor stars Caprice Coleman, “Almighty” Christopher Daniels, Adam Page, Ian Riccaboni, Shane Taylor, and Silas Young took part in Read Across America Week! Each read books in their hometowns, with most opting to read Dr. Seuss in honor of the great author’s birthday, while Riccaboni read his commentary partner Colt Cabana’s “Wrestling Dreams” book. 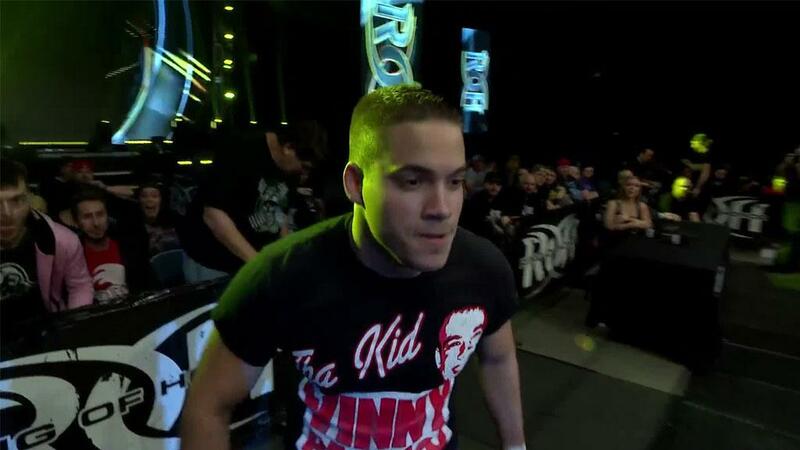 With Coleman in Charlotte, NC, Daniels in Palmdale, CA, Page in Greensboro, NC, Taylor in Katy, TX, Young in Greenfield, WI, and Riccaboni in Allentown, PA, ROH stars, who often visit schools and children’s hospitals while on the road, were able to give back to their hometowns. The six stars would have been seven hadn’t another teacher, Kelly Klein, had her school’s day canceled due to the storms that hit the Northeast but it will be rescheduled! 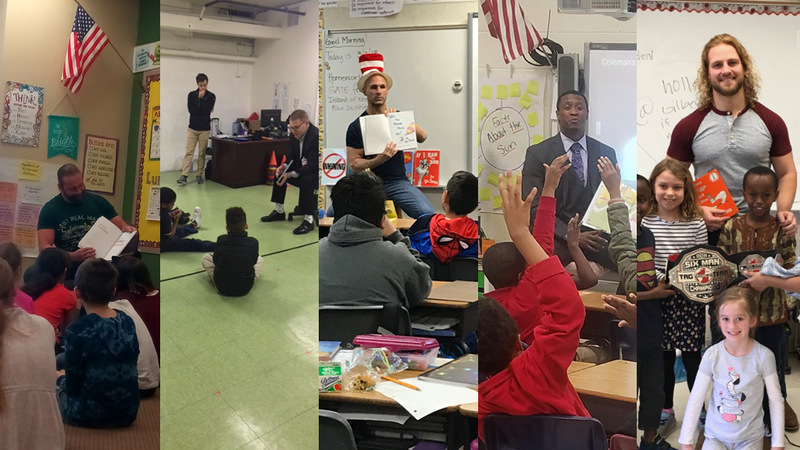 Ring of Honor’s participation in Read Across America is part of a growing effort by ROH stars to engage the communities that host Ring of Honor as well as the communities they live in. Read Across America Week is a national event coordinated by the National Education Association that celebrates the joy and importance of reading. Around the country, community members, community leaders, and celebrity guests join their local schools to promote reading, often reading their favorite Dr. Seuss books in celebration of his work and his birthday. The stars of ROH’s passion inside the ring is equal to their efforts outside it as ROH stars look to engage and inspire those around them. Read Across America is part of the continued effort of ROH stars to make an impact within the communities they live in and are hosted by on the road, visiting schools and children’s hospitals, as well as conducting disaster relief fundraisers, and more.